Perfect Engineering Pty Ltd (or 'PE' for short) was the main principal contractor of the Department of Public Works and we were responsible for making decisions on certain research and development issues concerning to government 'Building the Education Revolution' (BER) projects. Perfect Engineering design and constructed for Chullora TAFE and also performed civil works, excavation, piering, concrete slab, shop detailing and constructing structural steel work for building. The entire project from the initial design stages through to completion was constrained by standards and legal matters such as; statutory requirements, WHS and Australian Standards. 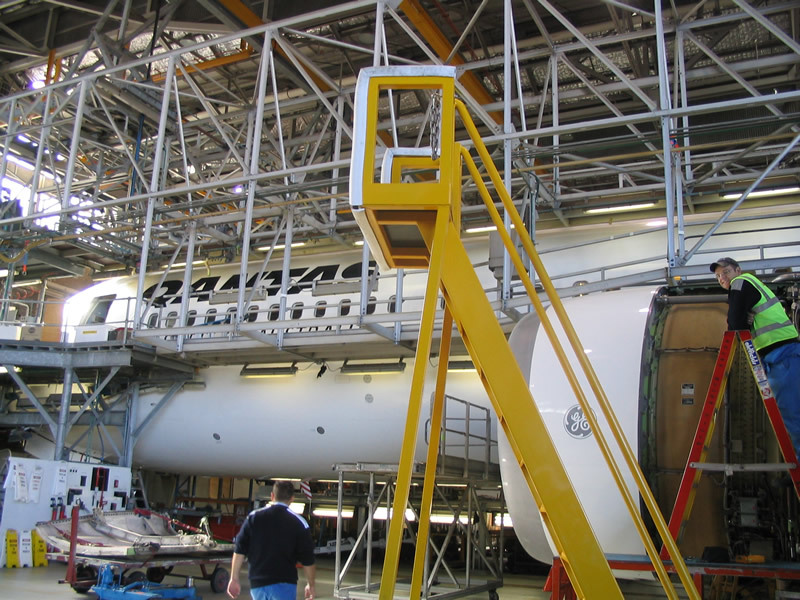 Perfect Engineering capabilities are wide and varying as evidenced by the myriad of projects completed such as in the aerospace and construction industries. Engineers Australia has awarded Perfect Engineering certificates for excellence and has offered Perfect Engineering a Professional Development Program partnership alongside of other government bodies. Several other organisations such as Construction in Focus have also written articles on Perfect Engineering and not only praising, but recognising the unique services that are provided in the Engineering field – particularly the efforts in research and design to provide alternative but feasible solutions. Since Perfect Engineering is a preferred contractor to several clients, it is in our interest to further establish its role as an authority on the beneficial properties of metals which are both stronger and impart superior corrosion resistance characteristics. An analysis and thorough research has been applied in the field of Aircraft and Aerospace aluminium alloys, also further research in the field of civil engineering in steel and concrete (foundations/piering/underpinning etc) for use in high rise buildings and in bridge barriers and roadworks, anchoring and development of a matrix for optimal material selection and structural adequacy based on finite element analysis (FEA) calculations. PE combined many years of experience and an experienced team to form a company called PE to serve our clients fully. PE was formed on the basis to initially serve a select few customers such as in the aerospace, automotive, building industry, rail and food. At present, amongst several customers, Department of public Works, RTA, Qantas Airways, Qantas Defence, Sydney Water, CHEP, Thiess John Holland (recent Lane Cove Tunnel project), Leightons, Abigroup are only a few organisations which have placed PE as one of their highly preferred contractors. PE does not have any reservations about going the extra mile and extending its knowledge and expertise when it comes to researching new materials or strategies prior to commencing certain unique projects, such as has been the case for the majority of the clients mentioned. Sydney Harbour Tunnel – Awarded to Perfect Engineering Pty Ltd (Principal Contractor) by the RTA to construct concrete median and moveable barriers amongst live traffic involving demolition, excavation and construction, ensuring a very complex engineering design requirement is achieved by creative and decisive engineers involved with many aspects of R&D to come up with the best solutions and careful project scheduling by management within the Perfect Engineering team. 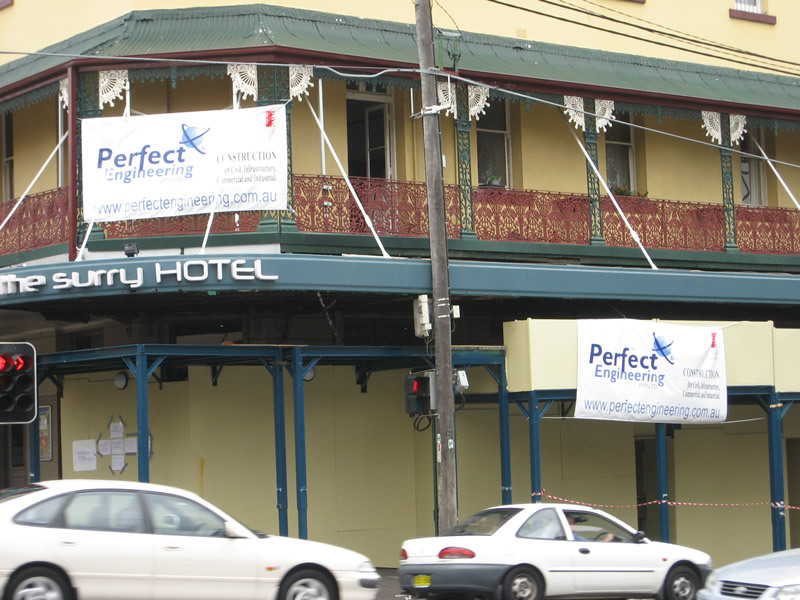 Cleveland St. road widening for RTA awarded to Perfect Engineering Pty Ltd, and being the principal contractor, Perfect Engineering Pty Ltd had to design and construct a reduction in the awning along a very busy road due to many fatal accidents occurring in the vicinity. This involved R&D in many facets to ensure structural rigidity and longevity. 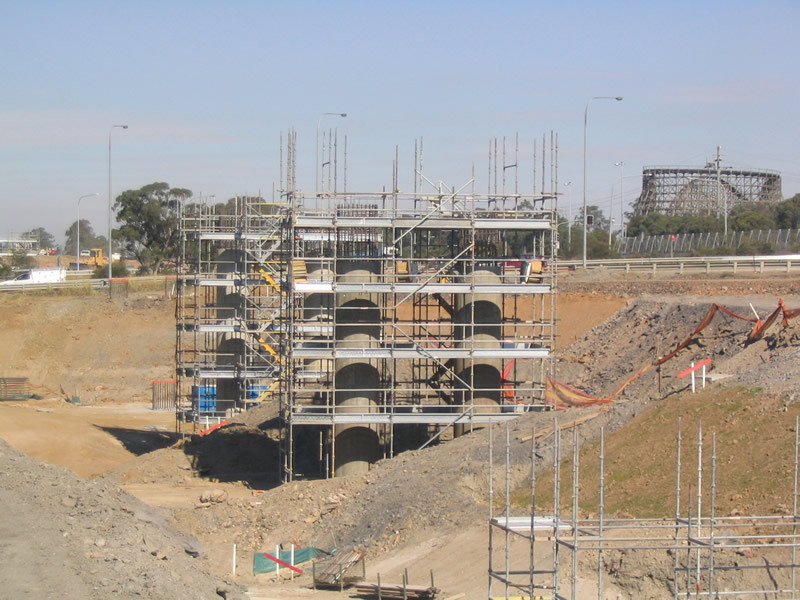 Lane Cove Tunnel - given the short time frame and amount of research required to complete the project (building & various structural steel structures) leading up to the March 2007 state elections. The design of the well known elliptical column steel shutters which formed the basis for concreting the entire columns for the M4/M7 freeway which can be seen clearly at Eastern Creek - when others were saying it was not possible in steel and only possible in timber. Research is one of our key strong points. Thereby, PE has to some extent created solutions and projects in various fields. PE is aiming to increase this knowledge in materials and impart the positive qualities in the industry. Major downfalls from other companies can be caused by a lack of logical design and sound knowledge concerning structures and materials. At Perfect Engineering we pride ourselves in knowledge of structures and materials to ensure structures are constructed to utmost quality. PE was established in October 2003. 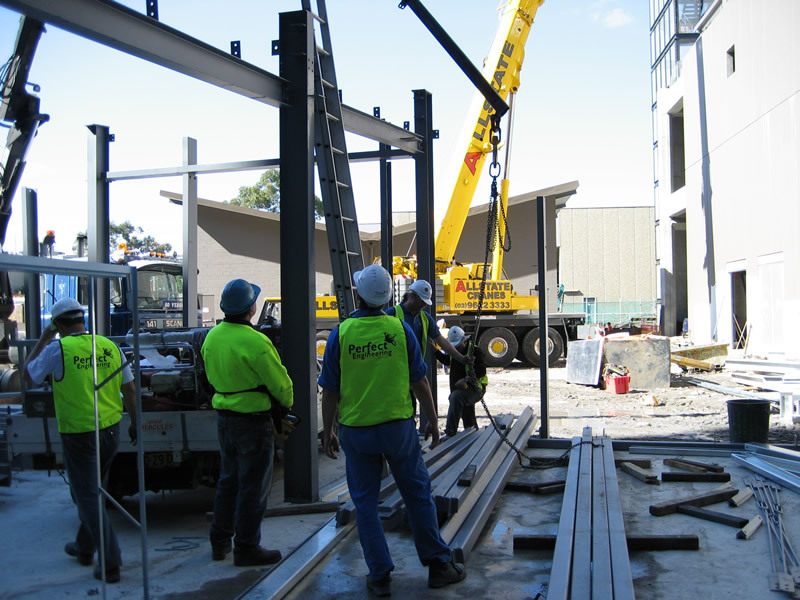 It is essential that Perfect Engineering Pty Ltd is seen to be proactive in this field, since our business is partially dependant upon our research and design (r&d) contribution to our clients whom, have to a large degree a requirement of technical and R & D support from their contractors. PE will continue with the R & D program and we have adopted a culture of continuous improvement. 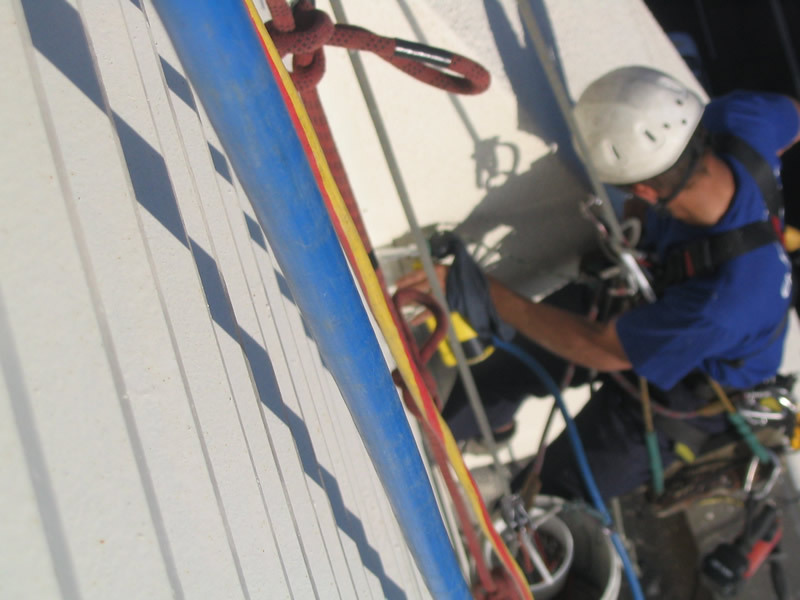 PE is providing invaluable assistance to their clients in most projects since the R&D is always imparted onto the client, and PE always dedicates a few individuals into researching, and tabulating results to form a sound basis for the research results.